Such licentious language. Meant primarily, I might add, to inflame passions and mislead public opinion by invoking a word – anti-Semitism – that we have been well-conditioned to condemn above all other forms of racism or prejudice. I am sorry the woman fears anti-Semitism, pogroms and hatred around every corner. It’s not my problem, frankly. Let her get therapy. Does that sound harsh? Sorry, again. But I for one get pretty irritated hearing false cries of anti-Semitism against anyone who criticizes Israel, its human rights crimes, its crazy settler movement, its unique brand of crypto-racism against non-Jews living within the state and its occupied territories. These targets include Jews as well. Like Richard Goldstone – a man who served the international community honestly and fairly by rooting out the perpetrators of real evil and putting them on trial for the most despicable of human rights violations in Rwanda and the former Yugoslavia. A Jewish man, a Zionist too. 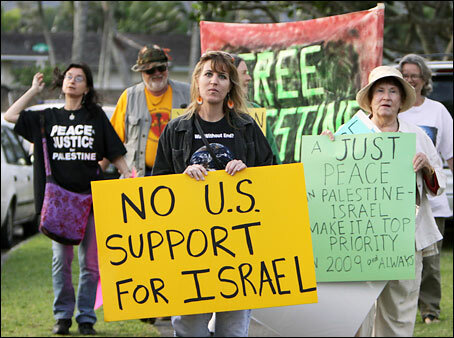 “Anti-Semite,” they roared when he charged Israel with war crimes in his UN report on the 2009 Gaza War. If by anti-Semitism one means obsessive and irrationally hostile beliefs about Jews; if one accuses them of disloyalty, subversion or treachery, of having occult powers and of participating in secret combinations that manipulate institutions and governments; if one systematically selects everything unfair, ugly or wrong about Jews as individuals or a group and equally systematically suppresses any exculpatory information — why, yes, this paper is anti-Semitic. I read this paper, and it is well researched, fair and thought-provoking. Cohen’s claim is far and away the most emotionally muddled interpretation by an academic I have yet to encounter. Yet other targets of this convoluted connection between criticism of Israel and anti-Semitism are – well – entire countries. Like Norway, Sweden, Finland and Denmark, for instance. Yup, anti-Semites, one and all. “Norway is the most anti-Semitic country in Scandinavia,” said Dr. Manfred Gerstenfeld, a scholar of Western European anti-Semitism from the Jerusalem Center for Public Affairs, who spoke last year at a gathering of Israeli scholars highlighting anti-Semitism in Scandanavia. Oops. Might want to check in on Sweden. An article in the Swedish newspaper Aftonbladet alleged a few months ago that IDF soldiers harvested the organs of Palestinians they killed, before returning the stitched up bodies to families for burial, igniting a crisis between Israel and Sweden. When the Swedish government refused to condemn the newspaper article, citing “freedom of the press,” accusations of anti-Semitism went flying. That was just the maelstrom we heard in our media. In June, a pro-Israel group that monitors NGOs for bias in the Mideast conflict, issued a report identifying Sweden as a major source of funding for NGOs that routinely use anti-Semitic language – which in this case meant language primarily viewed as unfavorable to Israel. What were some of these inflammatory, potentially anti-Semitic terms? “Nakba” – the Arabic word meaning “catastrophe” that Palestinians use to describe the events of 1948. Also “ethnic cleansing” and “genocide,” in reference to Israeli policies against Palestinians. Only Jews, it seems, can use the lessons of the holocaust for political impact. Such overt displays of anti-Semitism, indeed. Some anti-Semitic allegations border on the absurd. As far back as the 1960s, survivors of the USS Liberty – the US Navy technical research ship that some say was deliberately bombed, napalmed and shot at by Israeli fighters as it sat in international waters on June 8, 1967 – were systematically accused of anti-Semitism when they gave their accounts of the events that day. Accounts that suggest the Israeli attack was a deliberate one on an American military vessel. It is worthwhile to note that both Secretary of State Dean Rusk and former Chairman of the Joint Chiefs of Staffs Thomas Moorer believed the attack to be premeditated. As to the present: President Obama has been called an anti-Semite by right-wing Israelis and politicians, who have invoked his middle name, “Hussein” as proof enough. Others cite his association with an array of individuals and policies considered to be anti-Israel as further damning evidence. Former President Jimmy Carter has been called one for years, even though he brokered Israel’s very first peace agreement with an Arab state. And of course, the ever-vigilant Anti-Defamation League, which has criticized Rosenthal publically, spent the early part of this year churning out press releases during Israel’s 2009 military onslaught on Gaza’s civilians, claiming that the throngs of protestors hitting the streets in capitals around the world were fueling “the explosion of anti-Semitic rhetoric.” This is the same ADL that two years ago opposed congressional legislation recognizing the Armenian Genocide. I hate being treated like an idiot. We can see for ourselves the carnage caused by Israeli troops in Gaza and Lebanon, the daily acts of collective punishment and brutality against Palestinians in the territories. So when supporters of Israel pull out the anti-Semitism card no matter how ridiculous the claim, it does Jews everywhere a disservice by severely diluting the impact of the word, and therefore lessening the gravity of real and harmful prejudice against Jews. Like the boy who cried wolf, the cries become meaningless when invoked for political gain – or simply when all other arguments fail to convince a weary world that yet another Israeli atrocity was justified to protect Jews. To the woman accusing pro-Palestinian protestors on TV of anti-Semitism, I too wearily say, frankly my dear, I just don’t give a damn.